Today’s the day….we’re gonna win. The hottest quarterback is in town….watch out. YES. 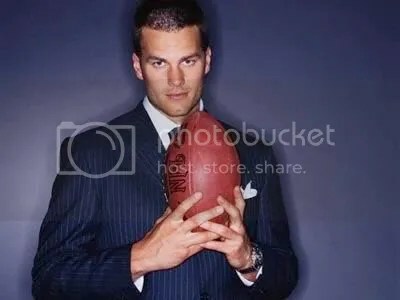 Tom’s hotness aside, I’m excited to see the Pats continue the march to perfection. The “cheating” scandal was the best thing that could’ve happened to them. It galvanized the team’s “us vs. the world” mentality. The results are hard to argue with! I agree that Tom is super wicked hot, however I am routing for Tony Romo and the super bowl…oh wait they lost, but I still love Tony minus Jessica!